This evening I am taking part in a performance of Brahms’ Ein Deutches Requiem with the BBC Singers at St. George’s, Bristol. The concert, which also includes Brahms’ Geistliches Lied and Haydn Variations, is part of the Brahms Experience season on BBC Radio 3. David Hill conducts the two-piano version of the oratorio with Charles Owen and Katya Apekisheva playing; the solo singers come from witin the ranks of the BBC Singers. The concert is broadcast live on BBC Radio 3 at 7.30pm. This entry was posted in Broadcast, Concert on October 9, 2014 by CheyneyK. 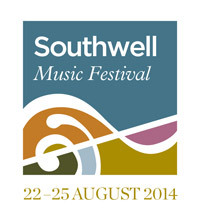 This weekend I took part in the inaugural Southwell Music Festival. Nottinghamshire’s Southwell Minster was the focal building for this new festival of music, hewn from the imagintion and ambition of baritone/conductor Marcus Farnsworth. As part of Southwell Festival Voices, I took part in a programme of choral music (Light Out Of Darkness), a special concert of Haydn’s The Creation, the liturgy on the Sunday and then in a come-and-sing event where we were joined by amateurs to work our way through Haydn’s Paukenmesse. I was also fortunate in being in a position to turn pages for the chamber concert on the Sunday evening, a First World War-themed programme that spared no one with songs by Ivor Gurney, Vaughan-Williams, Ned Rorem (the astonishing, expressionist War Scenes) and Elgar’s Piano Quintet. The festival can be considered a great success, not only by being entirely sold out but for also for the quality of performances and sense of sharing the occasion with the local audience and businesses. One of the soloists, tenor Andy Staples, took some photographs which appear at his dedicated blog, here. This entry was posted in Concert on August 26, 2014 by CheyneyK. Yesterday I performed in my second Prom of this month. The all-BBC affair tackled Stravinsky’s Oedipus Rex, an oratorio-style drama that is one of the high watermarks of Stravinsky’s neoclassical work. There was a terrific line-up of soloists but I most enjoyed performing this piece – which I have done a few times now – because of its wonderful, relentless chorus part (I am appearing as an extra in the BBC Singers). It was also interesting to revisit the piece having seen Julian Anderson’s Thebans, a new opera on the same subject, at ENO earlier in the year. The Prom is broadcast live on BBC Radio 3 on 7 August. This entry was posted in Broadcast, Concert, Opera on August 1, 2014 by CheyneyK. In this, Richard Strauss’ 150th anniversary year, I am getting a second opportunity to perform the composer’s German Motet that I did with the BBC Singers back in April. It’s a lovely but, vocally, somewhat extreme piece. For tonight’s Prom I have been allocated a part even lower than that of the previous outing, moving from third to fourth Bass – my highest note of the piece is a G# below middle C, which means that my part never breaks the surface of the bass stave and I will have to revisit ultra-low notes that I last used on a horror film session! We are being conducted by Vasily Petrenko and I am looking forward to working once again with this now-esteemed conductor, with whom I performed in a Russian-language production of Boris Godunov for Nationale Reisopera seven years ago. The concert will be broadcast, as usual, live on BBC Radio 3 and on BBC Four television on 3 August* (the above screenshot is from this broadcast). This entry was posted in Broadcast, Concert on July 28, 2014 by CheyneyK. For the first time I am taking part in the summer opera festival organised under the banner of Tete a Tete. Formerly held at Riverside Studios in Hammersmith, the festival has a packed programme of short operas (typically an hour or shorter). The idea is to showcase all the different ideas for sung theatre that might come under the umbrella of opera and, in this informal, close-knit and festive atmosphere give audiences and participants alike the chance to try out new lyric art and, naturally, discuss it in the bar. I have come to see quite a few of productions over the past four years and finally I have the opportunity to participate, albeit in one of the fringe events. Sarah Dacey’s Stupid Cupid sets the awkward, absurd and unaccountably random messages that she and her friends have received whilst using internet dating sites. It’s free, funny and you can have two bites of the cherry – Saturday 26th at 1830 and Sunday 27th at 1550 at Central St Martin’s Public Spaces. This entry was posted in Concert, Opera on July 25, 2014 by CheyneyK. Next weekend I am performing Bach’s cantata BWV 9, “Es ist das Heil uns kommen her” as well as some selected pieces of Schütz. The music forms part of the liturgy of Lutheran Vespers and comes at the climax of the 19th week-long Bach Festival given under the auspices of the St. Anne’s Music Society, now housed in St Mary-at-hill in Eastcheap in the City of London. In a rather unusual role for the bass, there is no formal aria but rather there are three recitatives linking the set pieces of the cantata. I enjoy this element of Bach’s vocal music possibly even more than any other and I’m really looking forward to performing with the Sweelinck Ensemble with whom I have a long-standing rapport. This entry was posted in Concert on July 18, 2014 by CheyneyK. This weekend I have been working with Philharmonia Voices on the first of a flurry of Spring projects. On Sunday we performed Janacek’s Glagolitic Mass with the massed ranks of choral societies from Bristol & Gloucester along with the Philharmonia Orchestra under the direction of Jakob Hrusa at the Royal Festival Hall. This is a terrific, if occasionally overwhelming piece to perform and a really festive way to begin the week before Easter (which is usually characterised by more solemn, ruminative music). It was also the perfect opportunity to hear the restored organ of the Royal Festival Hall, which sounded incisive and powerful in the hands of Thomas Trotter. A great treat. This entry was posted in Concert on April 14, 2014 by CheyneyK. Yesterday I took part in a concert of music by Schumann, Reger, Rheinberger, Wolf, Brahms… well, in fact I wasn’t involved in the main body of the programme with music by all these composers. I joined the BBC Singers in two pieces topping and tailing the programme: Schoenberg’s Friede auf Erden and Richard Strauss’ Deutsche Motette. These are two choral works utterly representative of each composer’s idiom (the former of his pre-serial, high romantic vernacular). Even though we were giving the concert in the Guildhall School’s new Milton Court venue, which seats only a few hundred, the scope of the music is grand and the sentiment all-embracing. The concert was broadcast live on BBC Radio 3 (you can listen again on iPlayer for the next week here). This entry was posted in Broadcast, Concert, Recording on April 8, 2014 by CheyneyK.